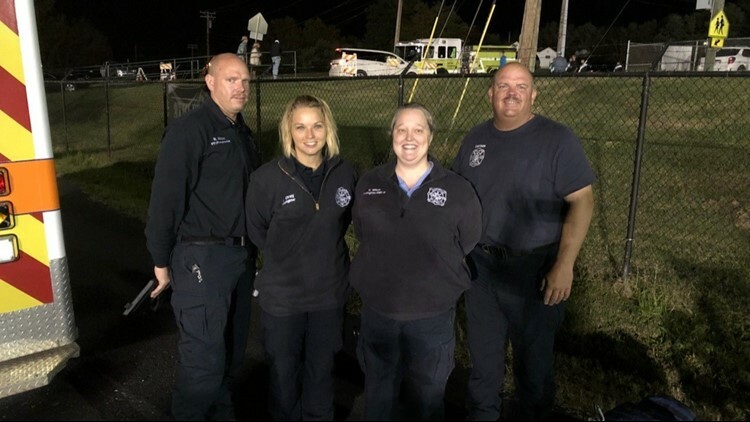 Knox County Rural Metro Fire said a man had gone under cardiac arrest, but advance dlife support teams were able to stabilize him in the stands and take him to the hospital thanks to crews nearby along with proper AED and CPR training. A man was sent to the hospital Friday night after going into cardiac arrest during a football game at Carter High School. According to Jeffrey Bagwell with Knox County Rural Metro, the man had suffered cardiac arrest in the stands. However, because CPR was initiated immediately and an AED was used -- Rural Metro said the Advanced Life Support teams were able to stabilize the man before he ever left the stands and take him to the hospital. The man's current condition is unknown, but he is being treated at a local hospital. "This is just another reason why AEDs and training are a must for high school stadiums," Bagwell said. "Having a fire crew and an ambulance on scene should always be required."